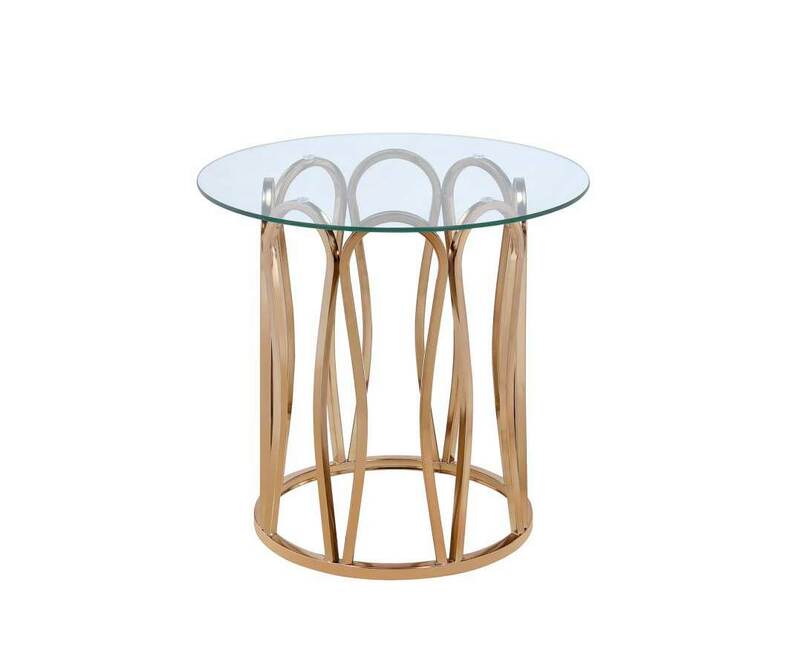 Add some modern glam to your living room when you choose this elegant end table. The shiny chocolate chrome base creates a modern look which will add a neutral and warm look to your home. 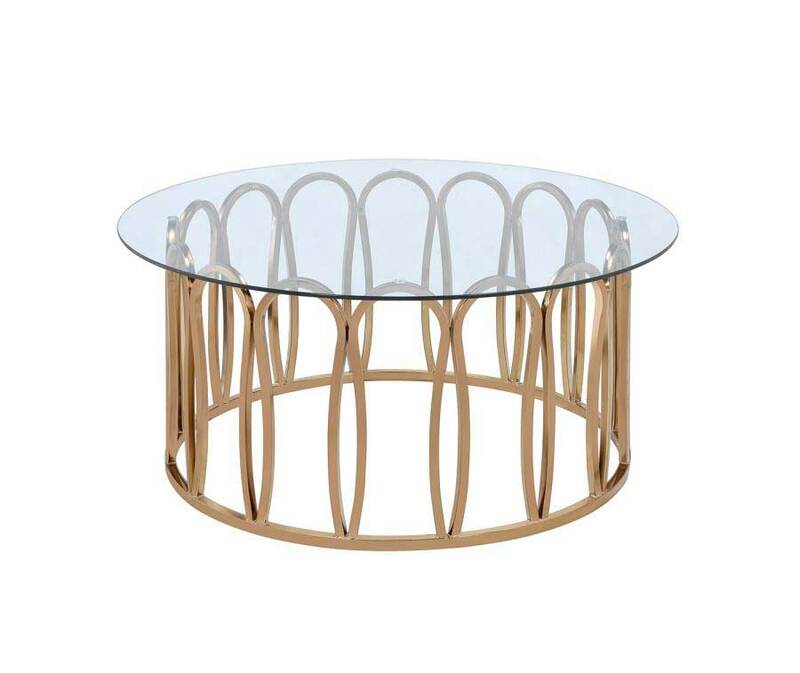 The clear tempered glass table top gives the collection an airy look when paired with the openings of the table base. 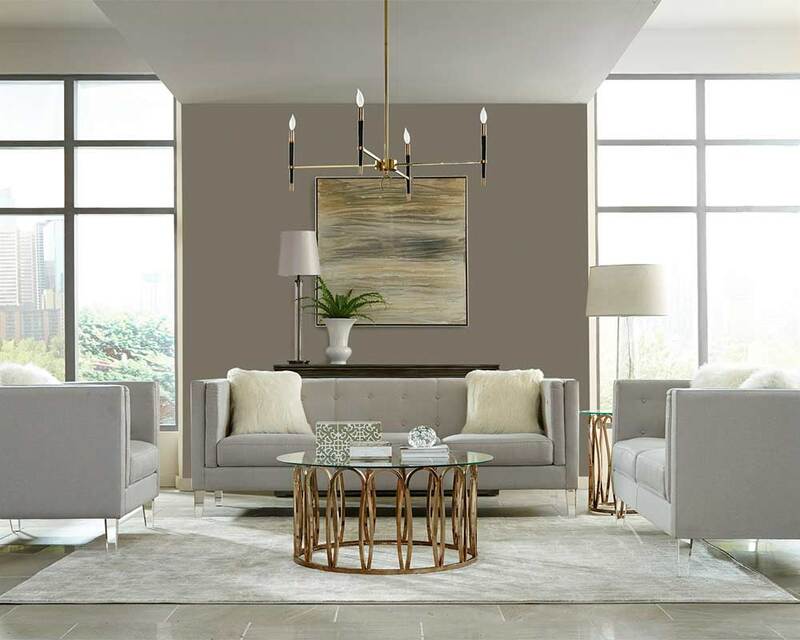 This collection will match nearly any existing home decor, add the matching coffee table to complete the look.